Seattle city council members this morning will vote on changes to the budget—and could very well rid the 2018 budget of the controversial employee hours tax that has been dominating discussions for weeks. 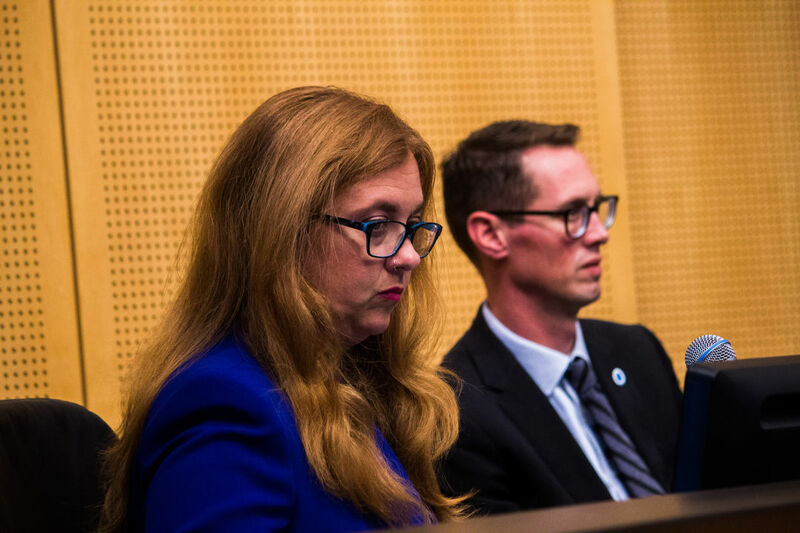 Council members Mike O'Brien, Kirsten Harris-Talley, Kshama Sawant and Lisa Herbold have been pushing for the tax on big businesses as a longterm source of revenue to fund homeless services. Other council members have criticized it for its process (not negotiating with businesses before announcing the proposal), and effect on small businesses (using gross revenues instead of profit as the qualifier). The tax would take effect in January 2019. Herbold's new tax proposal raises the threshold on businesses who would be taxed to $10 million in gross revenues—Seattle's top 5 percent of businesses—instead of $5 million, and at 6.5 cents per hour, per employee (instead of 4.8 cents). And she is pushing the employee hours tax as an ongoing revenue source that not only provides sustained proceeds year after year—but also as a way to invest up to $50 million more a year by using the city's bonding capacity, and create 2,000 affordable units over four years for low-income and homeless residents. The bond funding proposal is primarily sponsored by O'Brien. Last year the city took out a $29 million loan to build affordable housing, which Office of Housing director Steve Walker credited with creating 300 affordable housing units the city wouldn't have otherwise been able to build. Council members Tim Burgess and Debora Juarez voted against it back then because it would have to be repaid through the general fund, taking money away from other services. With the new revenue from the employee hours tax, Herbold says the city could do it again—this time with a source to pay it back. "Without a source for repayment, it would be unlikely to do again what we successfully did last year," Herbold wrote to PubliCola. There were more than 180 applications for requests for proposals on homeless services, a total request of $105 million, while Herbold says the city has only $30 million to give. Still, council members remain skeptical of the tax and have named several reasons not to support it. A letter signed by nearly 100 businesses delivered to city hall on Monday accused council members of threatening the viability of longtime businesses and hastily developing a proposal behind closed doors. When Sawant implied Lorena Gonzalez was considering opposing the tax because of "corporate sponsors," Gonzalez fired back that the proposal should be focused on getting people inside. Juarez also defended her opposition and denied the idea she was "in the back pocket" of businesses, and accused proponents of bullying tactics. "I want to make sure anything I vote for is going to do that, not next year, not in three months, not in four months, not this sort of mishmash of maybe this is a way to do rent control, maybe this is a way to control the rental market," Gonzalez said. "I want to see numbers and clear commitment that what we are voting on through this budget process is going to bring 3,000 people inside immediately. And I'm not going to support a plan that pretends to do that but doesn't deliver on that result." Whether supporters could garner narrow support is the question. And pressure from the public—whether from businesses or the Housing for All Coalition—are pulling council members in both directions. Updated 5pm on November 14, 2017, after more businesses signed a letter opposing the employee hours tax proposal.